Hey post that photo! Did you post it to Instagram, Facebook, Twitter, Google+ or somewhere else? Today's social media comes with so many choices and its almost impossible to avoid. So you're bound to have a few unofficial photos of your wedding pop up on one of your guest's feeds at some point. Instead of buying disposable cameras or hiring multiple photographers at your wedding, encourage your guests to #hastag their photos of your wedding using Instagram. Sure its easier to get the photo up on Facebook, but Instagram is fast becoming a fan favourite in image sharing as a replacement for Facebook (which is kind of funny as Facebook owns Instagram). 2. Remember to remind your guests. Have the #hashtag on every table or as a note on every guest's chair - simply go to an online printer such as Vistaprint to do this. Also get the MC to remind guests to share their photos on Instagram (preferably after the wedding). 1. Open an Instagram Account by downloading the app on to your smartphone and following the prompts. 3. In the comments field, remember to use the # symbol followed immediately (no space) before the chosen 'tag' for the wedding. 4. To view, go to the explore tab in Instagram (looks like a compass), then type in the hashtag (or 'chosen tag') to view all the photos taken by your friends at the wedding. 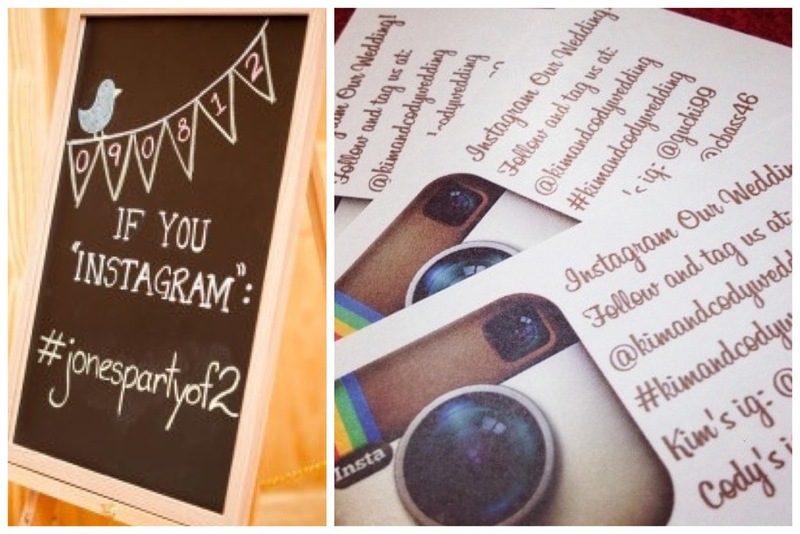 If you have had success at any weddings with Instagram, we would love to hear your story! Comment below to let us know what hashtags you used.